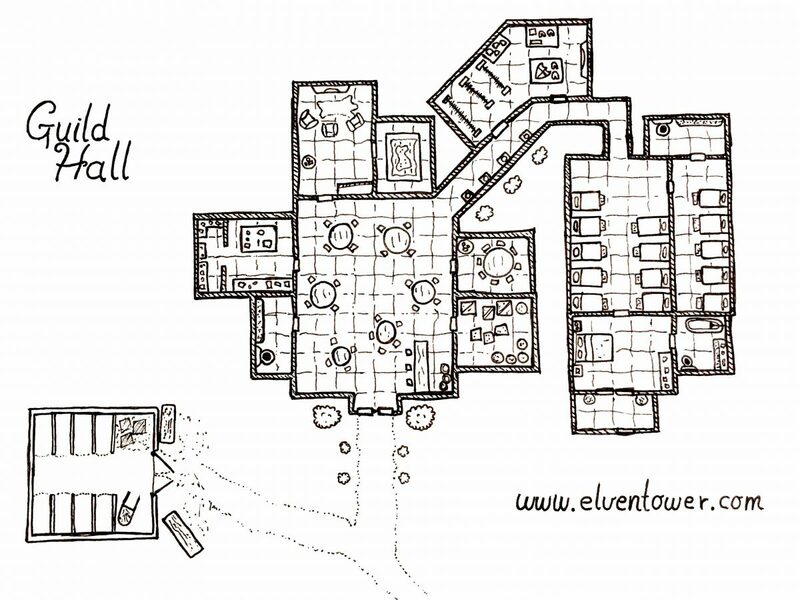 This is a map for a guild hall or similar organization. It’s got a social room with bar and kitchens. Next to it are some private rooms for important meetings. Following a short aisle, there is an armory. The last part are the sleeping quarters for the guild members who sleep here. The individual room next to the sleeping quarters is for the guild captain, he also has his own entrance. Outside the main building there is a stable.